H. Rick Bamman - hbamman@shawmedia.com A firefighter atop a ladder signals crews on the ground as a dozen area departments battled a fire in an out building approximately 50 by 100 feet at 11403 Rt. 14 in Big Foot on Thursday, March 3. H. Rick Bamman - hbamman@shawmedia.com A tanker operation was conducted to truck water into the Big Foot as there were no hydrants. There were no reported injuries. 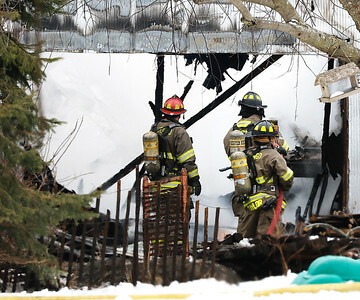 H. Rick Bamman - hbamman@shawmedia.com Firefighters check for hot spots while battling a fire in an out building approximately 50 by 100 feet at 11403 Rt. 14 in Big Foot on Thursday, March 3, 2016. Crews from a dozen area departments assisted the Harvard Fire Department with a tanker operation to truck water into the area as there were no hydrants. There were no reported injuries. 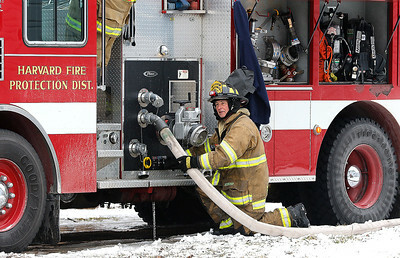 H. Rick Bamman - hbamman@shawmedia.com A Harvard firefighter works to disconnect a hose after battleing a fire at 11403 Rt. 14 in Big Foot on Thursday, March 3. Firefighters from a dozen area departments assisted Harvard crews with the fire in an out building approximately 50 by 100 feet A tanker operation was conducted to truck water into the area as there were no hydrants. There were no reported injuries. 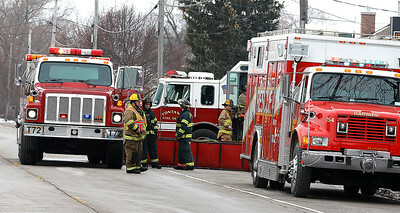 H. Rick Bamman - hbamman@shawmedia.com Firefighters from a dozen area departments battle a fire in an out building approximately 50 by 100 feet at 11403 Rt. 14 in Big Foot on Thursday, March 3, 2016. A tanker operation was conducted to truck water into the area as there were no hydrants. There were no reported injuries. 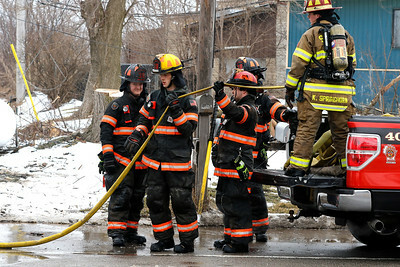 H. Rick Bamman - hbamman@shawmedia.com Harvard firefighters take a break after being relieved during a fire in an out building approximately 50 by 100 feet at 11403 Rt. 14 in Big Foot on Thursday, March 3. 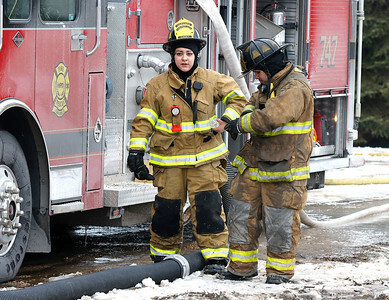 H. Rick Bamman - hbamman@shawmedia.com Firefighters from Sharon, Wis. begin to pick up equipment following a fire in an out building approximately 50 by 100 feet at 11403 Rt. 14 in Big Foot on Thursday, March 3, 2016. 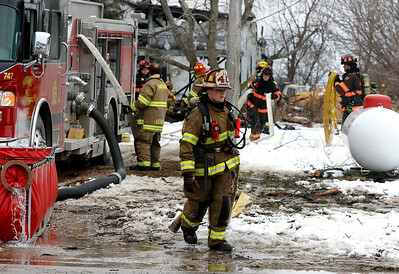 A dozen area departments assisted Harvard fire fighters to contain the blaze. 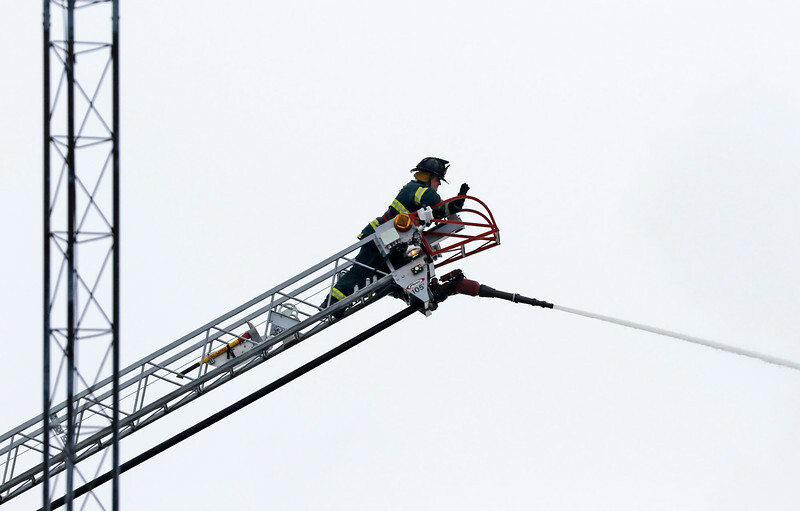 A firefighter atop a ladder signals crews on the ground as a dozen area departments battled a fire in an out building approximately 50 by 100 feet at 11403 Rt. 14 in Big Foot on Thursday, March 3.